Congrats on posting your infographic, blog, video or webinar. One problem: Uncle Jeb is your only reader. 1. Keep producing - Falling trees make noise if no one hears them. That's also the perfect place for a Backstreet Boys reunion concert. Content posts prove your authority. Someone may not look for small business accounting tips today, but they will during tax season. Pay the price now and reap the benefits later. 2. Produce Relevant Topics - Get ideas from popular industry content pieces. Sportswriters produce content about popular athletes. Not anonymous ones. Write what buyers in your industry read about. Then, localize further by niche or geography for relevance to you. Schedule to make 20-40 different pieces per year that help your potential customers. 3. Emulate - Copy big businesses. Marketing teams create content and promote via email, social selling, Facebook and offline. This creates the sales team's warm leads (people who show interest by filling in a form, taking a webinar etc;). The sales team plays telephone tag and email ping-pong until a sale is made. Small businesses don't have time for that, but still need to replicate that process. Businesses become big doing it. 4. Automate Content Creation - The web's biggest content sources (YouTube, Twitter, The Huffington Post, Upworthy, LinkedIn etc;) crowdsource their content creation. The community generates the videos, tweets, articles and profiles. YouTube is just an FTP server without the community's content. Content creation is automated. Copy this by offering open forums or methods for people to discuss industry topics. An immigration attorney can setup a forum or Facebook group for visitors to discuss immigration issues and challenges. The attorneys participate at their discretion. The attorney's office owns/moderates the content and partially contributes. 5. Re-frame expectations -Aim for base-hits instead of home runs with your content. Sacrifice a little quality for quantity. Write 35 good pieces instead of 3 great ones. Yes, go for it if you know what you're creating will go viral. Buy a lottery ticket too! Most content producers (writers, videographers, designers etc) don't know what will or won't stick. 6. Test - Your approach to content marketing should be similar to how a comedian hammers down a routine. Everyone loves standup specials. Few watched the less-promoted tour 6-8 months earlier and the comedian testing different jokes in small venues. You marvel at the way professional athletes play when they are on TV, but don't see the massive effort in practice. Creating content is your pushups. More content will mean more sales calls. Performing in those sales calls is your SuperBowl. 7. Learn from Others - A few months ago we helped a company increase subscriptions of their online software product (Software as a Service/SaaS). We Googled SaaS selling and landed on a SaaS-selling website by Lincoln Murphy. We found numerous pieces about that, and only that, topic on the site. Now that site is our go-to resource for anything related to SaaS selling. This site is a basic Wordpress site with some typical features (sign up for alerts and schedule an appointment). Nothing you don't have or couldn't by spending $500. I don't remember what content piece got us to that site, but it is the several content pieces that kept us going back. Moreover, it's targeted. You can use the same sales tactics to sell SaaS software or Fat Albert exercise videos. He's chosen to focus on SaaS. Produce content on kids dental health if you want toddlers to be your customers even though you could do teenagers as well. Don't underestimate the scale of the web. Someone on the web is looking for a pediatric dentist right now. Next time increase the odds it's you that they find. 8. Make Time - Creating content is hard because you're time-strapped. People pay you to do what you're good at. Not write about it. Carve out time to create content. Let a designer polish it. Invest two hours/week into creating content for your business and DVR the World's Best Breakfast Cereals for later. Use a Dictaphone or text-to-speech software to dictate and accelerate getting your content on paper so you can make slides or blog posts. 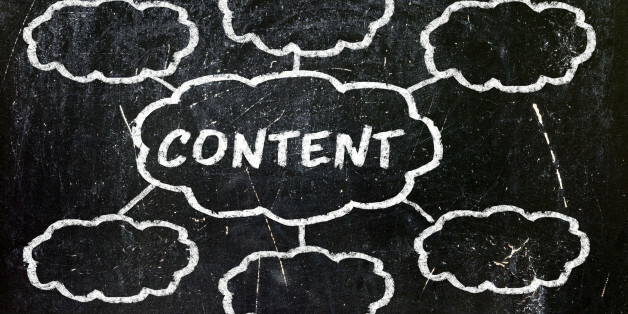 Prove your expertise with content creation. You'll have 52 pieces in a year if you develop a habit to create it weekly. Then when people search for your areas of expertise on the web, and I guarantee you they will, they'll find you. Sajeel Qureshi is the VP of Operations at Computan, a digital marketing and software company. Computan serves as the digital department for numerous businesses throughout the globe ranging from start-ups to multinationals. He has a degree in Business Administration from St. Bonaventure University and MBA from Eastern Illinois University. Sajeel plays tennis well enough to convince the untrained eye that he knows what he is doing and poor enough that the trained eye submits him to a drug test.